Train with only the best, our certified trainers will push you, motivate you and make sure you leave The Ring feeling like a champion. For enquiries on personal training, click on "Book PT Session" and we will come back to you within 1 working day. Former 3-time Singapore National Champion and now a Professional Boxer rising up in the ranks. 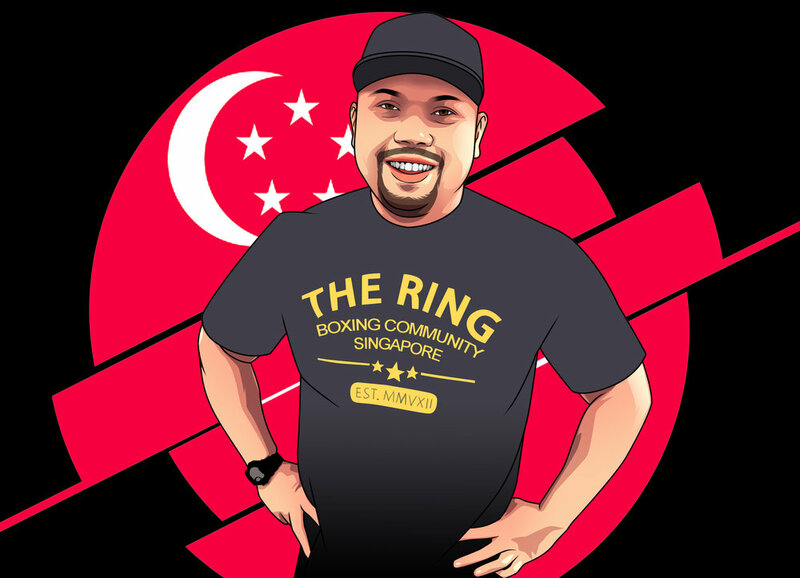 Currently studying Psychology at Singapore University of Social Science, Boxing Coach at The Ring Boxing Community and a Professional Boxer, Hamzah Farouk has never looked out for anything that is impossible. Anything is possible! Boxing is his passion, so by filtering down all his knowledge in Boxing training is always a win for everybody. Abdou started his early years studying and training Muay Thai & MMA, before eventually converting to boxing at the age of seventeen. He was with the Monaco National Team for 5 years and was able to compete on multiple internships and teams internationally. His most influential training was with the national team of Cuba, where he grew to admire and resonate with the Cuban boxing mindset, training and fighting principals. He has had the opportunity to spar with many world champions, including Andy Lee, Ryan Burnett and Luis Ortiz, and is deeply passionate and dedicated in the sport of boxing, have left behind his family, friends and home in Corsica to pursue his professional boxing journey. Known as TR's Gentle Giant, don't get intimidated by his size or his serious looks. He won't bite. Former athlete and Coach for the Elite Fight Team at Singapore Silat Federation. A 7 time National Champion and winning other International Competitions in Asia and Europe. Certified Strength and Conditioning Coach by the Singapore Sports Council and Australian Strength Conditioning Association. He has trained a few athletes to win World Titles and mentor to some of the trainers in the fight industry. From Monaco, a certified boxing trainer and an experienced boxer with more than 20 fights at the French National Level. Gilles will share with you his passion for boxing, with his “Western way” of teaching and a twist of Cuban techniques. Experienced, dedicated and composed – a complete package with a French accent! He believes in empowering others. His favorite boxers: Floyd Mayweather Jr. and Miguel Cotto. What lies beneath a good looking French boy? Agility, speed, tactic, discipline and enough experience of a fully skilled and successful boxer! Medi has competed in National and International Levels. Born in a boxing gym, he was able throw a 1-2 combination before walking! 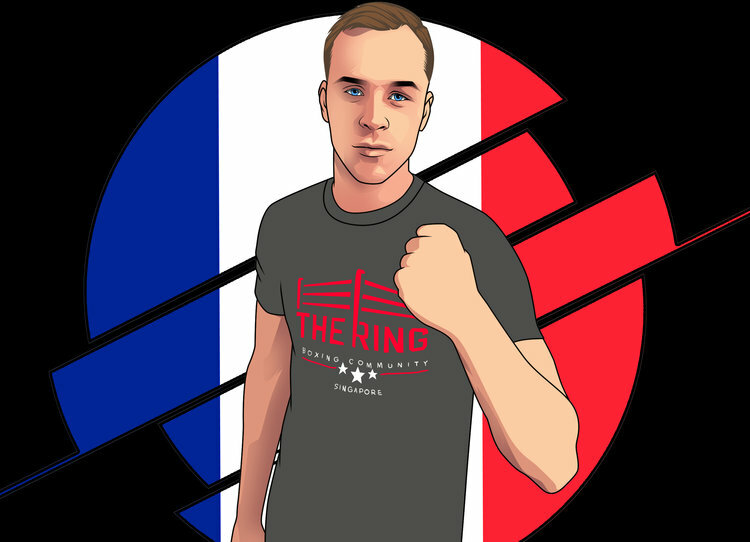 Boxing lives in his bloodline and his dedication and passion for the sport led him to have the highest trainer certifications in France. He will teach you amazing defensive skills inspired from his favorite boxer Pernell “Sweet Pea” Whitaker (also a reason why he kept his pretty face after so many fights! ).